Stainless Steel Green Roof Planter Drain - Jay R. Smith MFG Co.
15 1/4” Diameter main area drain with auxiliary inlet for additional drains. Perforated gravel guard with removable cover for easy access. 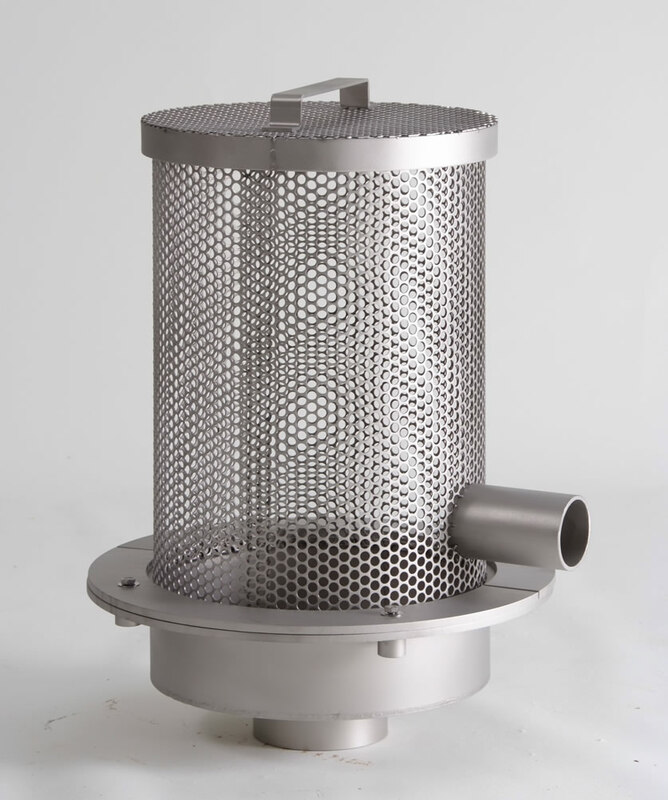 Duco coated cast iron body and flashing collar with perforated stainless steel sleeve with auxilliary side inlet and solid cover with lift handle.